Three members of the Sanitarium Board of Directors have met an untimely end, each apparently at the hands of a different super-powered villain. But since all three supposed killers were under lock and key, there must be more to the Madhouse Murders than meets the eye. 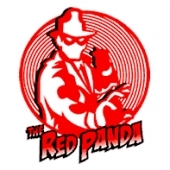 Can the Red Panda stop the spread of... The Crimson Death?